A collection of tasty non-alcoholic treats. 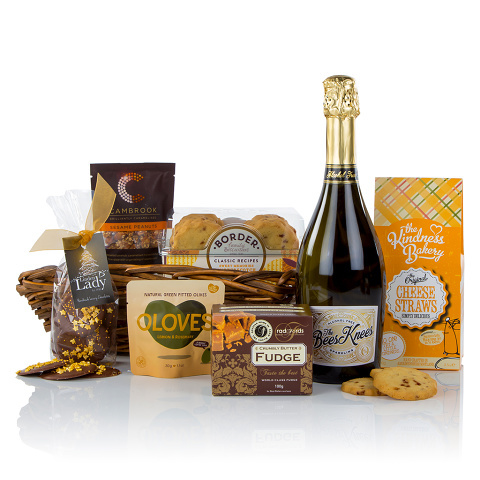 Choose from Cambrook caramelised peanuts, luxurious crumbly butter fudge or flavoursome lemon & rosemary olives with a glass or two of alcohol free fizz! Perfect to enjoy on cosy winter evenings.